Kelli Nicholson, director of brand marketing for Panera Bread, has been with the company for 13 years. “I’m always learning, and I’m always challenged,” Nicholson explains over coffee. “The organization has evolved so much over the years, it’s as if I’ve worked at multiple places.” Panera, formerly known as St. Louis Bread Co., was an untouchable brand—and then it wasn’t. The company has successfully navigated several big transitions, including a major acquisition almost two years ago: “I learned a lot in that process,” Nicholson says. And in 2014, it announced its commitment to going “clean,” which Panera defines as no artificial preservatives, sweeteners, flavors or colors. The biggest challenge was understanding the amount of resources it takes. We spent millions of dollars to make this happen; it was a huge commitment for the entire company. We decided not only to go clean, but also to make sure we never sacrifice taste or quality in any of our recipes, and that took a lot of experimenting to get it right. What did it mean for you to be transparent in this process? We wanted our customers to know what’s in the food we are serving them so they can make their own personal decisions based on what matters to them. We knew we couldn’t change everything on our menu at once, so we told our customers, “This is where we are today, and this is where we want to be.” We were on a journey and we wanted to bring our customers alongside us on that journey. That sounds like a big risk. 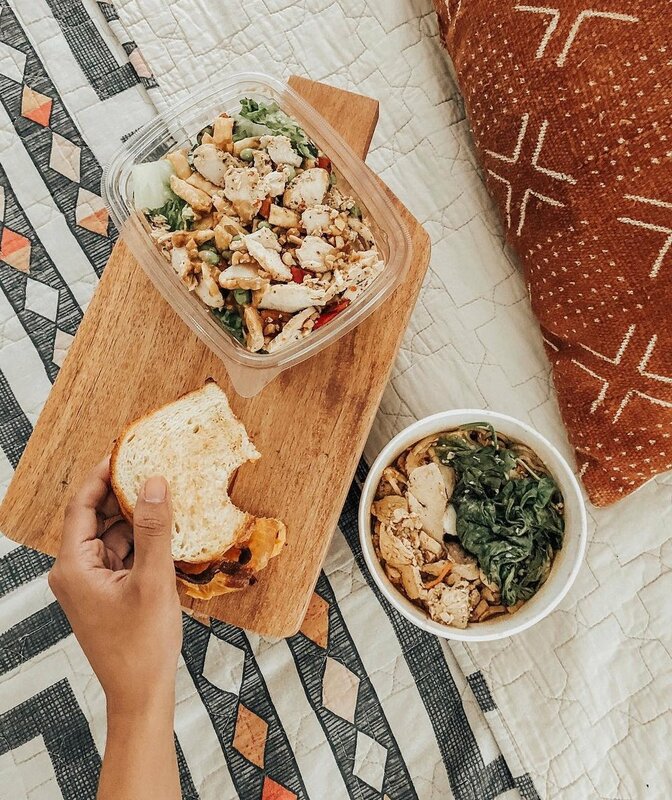 It took a big leap of faith, but it felt really natural for Panera. Was it difficult to make some of your favorite menu items clean? Some recipes were a lot harder than others. We had to remake our broccoli cheddar soup 60 times in order to get it right—to make sure that we didn’t sacrifice quality or taste. Other items were taken completely off the menu because we couldn’t make them clean without changing the flavor. Despite this serious mission, there is lightness to the brand. We want to give people information, so they can make the best decisions for themselves. Food is meant to be a positive, joyful experience. Despite our serious mission, at the end of the day, we want people to eat the way they want to without feeling bad. How does the brand stay culturally relevant? We continuously ask ourselves: What do people care about right now? How can we engage with them in ways that matter? To answer these questions, we get together as a team to discuss things that are culturally relevant. What kind of culture does it take to keep a brand such as Panera relevant and moving forward? We are relentless in our pursuit of staying ahead of the pack and we believe that a culture of innovation rules. We are always challenging the team to eat at Panera, go to a competitor, listen to a podcast, attend an Ad Age conference, watch a webinar, and do something new. We also have Blue Sky Sessions, where we ideate for two hours every month. What does the Blue Sky Session entail? We set out to accomplish big thinking and team collaboration, but there isn’t necessarily a specific project to discuss. We create a space where we can brainstorm freely, where there are no bad ideas. That subject might be new ways to connect with our audience or how to empower our 2000+ café employees to advocate for the brand on a new platform. Besides ideation sessions each month, how else do you all create a culture of innovation? We’ve created the framework to fail fast. We have two to three campaigns running at a time and we are constantly measuring our results and optimizing what we are doing based on those results. We start with a precise strategy, a clear objective and discuss what it will look like if we succeed or if we fail, and then we lay out how to measure our performance. As an example, we just launched a Mac n’ Cheese campaign—our success will be based on how much conversation we create with it. This is really different from a campaign we might be doing to promote our salads. With every campaign we ask ourselves: What matters to the consumer and how do we measure if it resonates with them? What other challenges are you facing right now? We have a large department with more than 70 team members. Our structure allows everyone to work autonomously, which is great, but we’re also looking for opportunities for integrated thinking. And as a team, we are always pushing ourselves to remember that the customer is central to everything we do.